If you are considering having new windows installed, there will be many options available to you. At Progressive Insulation & Windows we are happy to go over all of your options. We will listen to what you are looking for, show you what your choices are, and provide the most cost-effective quote possible. One of the window types you may consider are double-hung windows. While these are great for many people, there are disadvantages too. Keep reading to learn about both the pros and cons of these windows. One of the reasons that homeowners love double-hung windows is because they can slide up and they can slide down separately. This allows you to have total control over the amount of ventilation you are experiencing. This is a great choice not just for comfort but to improve the air quality and energy efficiency in your home as well. No one enjoys cleaning their windows but if you have double-hung windows, it is much easier to do so. You simply clean the inside the way you always have, but instead of going outside to wash the exterior, you can simply pull the window down to access its exterior side. This gives you a chance to clean it perfectly without danger and without the need for tools. At Progressive Insulation & Windows we know our clients are looking for several things when they shop for windows – including energy efficiency. While it may have been true in the past that double-hung windows were not always the most energy efficient options, today’s windows are must better insulated than you may think. The good news is that this is really a neutral point because all of our windows offer excellent energy efficiency. Windows are important to your home for many reasons, including the fact that they provide security from the elements and from criminals. However, not all windows offer the same level of security. 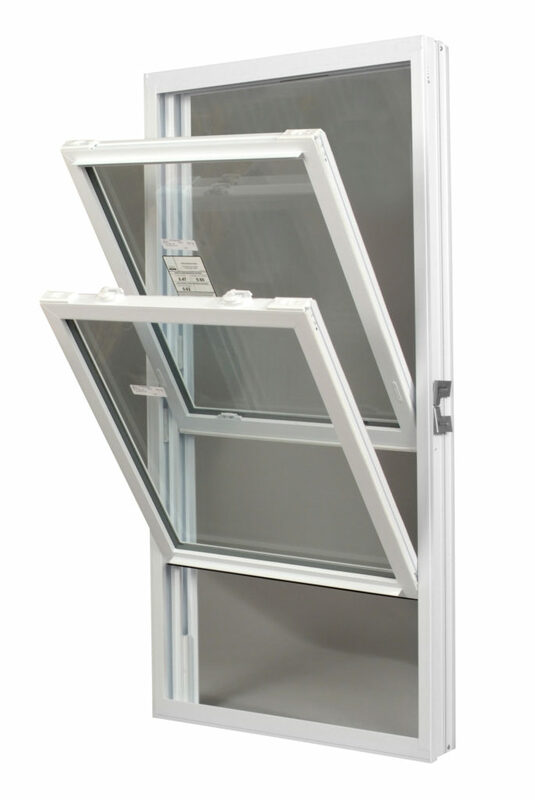 Though double-hung windows can open into your home, they cannot open this way from the outside. As a result, you get extra security. Double-hung windows have a horizontal bar in them, which is known as the meeting bar. It is in the center of the window, which can end up at eye level. Depending on where the window is located, this could obstruct the view. As you can see, there are many advantages to this type of window with only one major con. Does this mean it will be the right window for your needs? Not necessarily – but we feel confident that you’ll find the right choice when you work with Progressive Insulation & Windows. Call us now at (800) 500-6200 or stop by our showroom to browse our large selection.